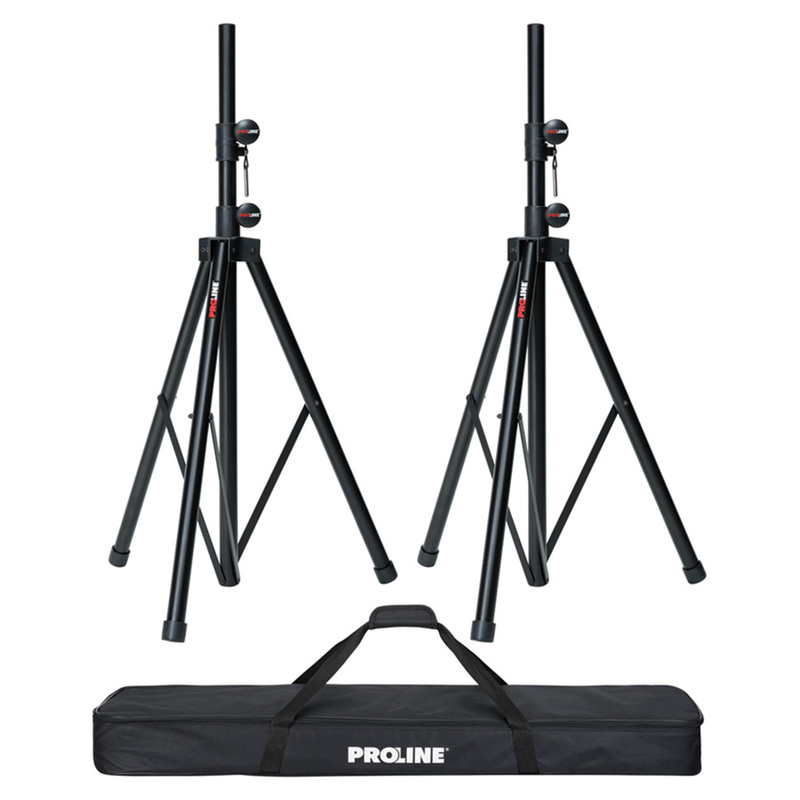 Proline® Speaker stands feature a center steel shaft for maximum support and an aluminum body for lighter weight. 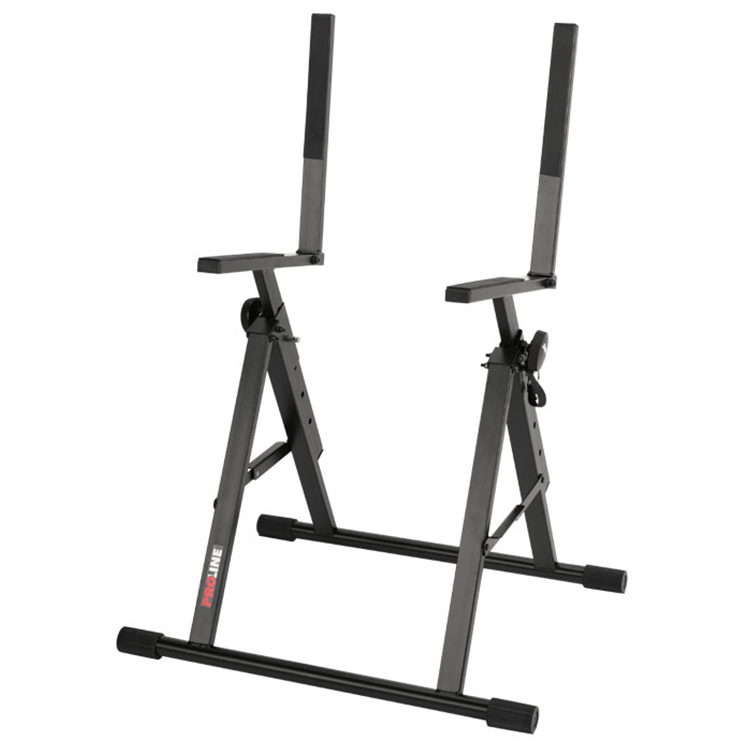 These sturdy stands can hold up to 150 pounds. Locking pins are included for extra safety. 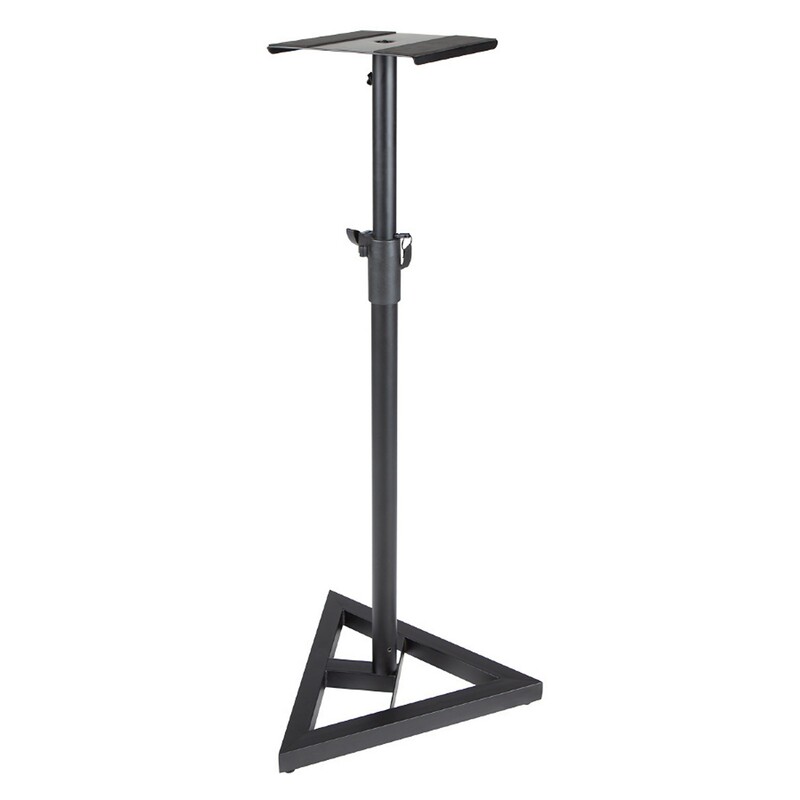 Speaker stand features a center steel shaft for maximum support and an aluminum body for lighter weight. These sturdy stands can hold up to 150 pounds. Locking pins are included for extra safety. Now your amp can be heard at lower volumes. It features 5 easy height settings, rubber pads that protect amp covering, and it breaks down quickly for easy transportation. With its triangular base, and easy adjustable height mechanism, the PL600P Studio Monitor Stands make for a secure platform and an ideal choice for placing your studio monitors at the optimal mixing height. 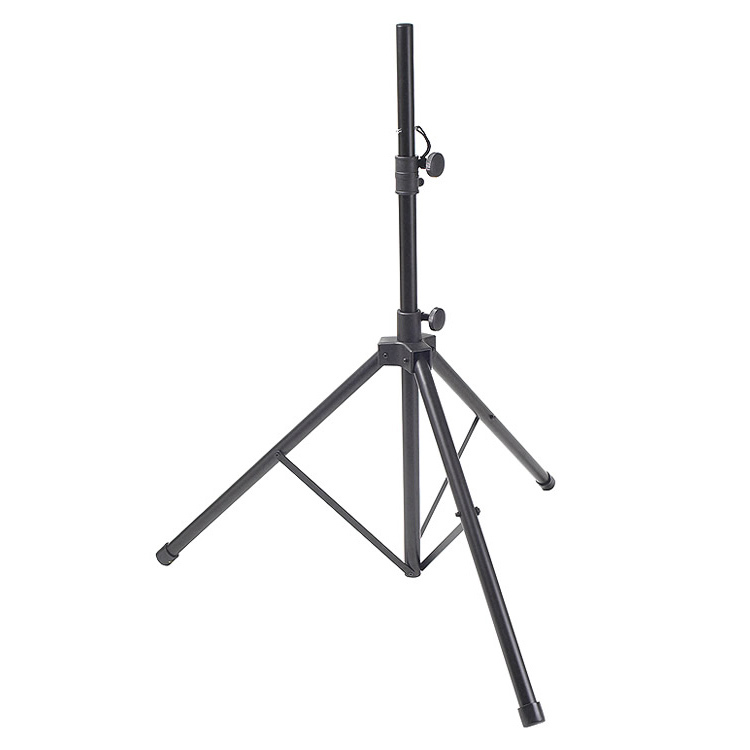 Ideal for bands, DJs, AV teams, schools and more, these tour-ready stands with steel bodies feature a huge 120lb load capacity to easily accommodate large speakers. And their lightweight aluminum shafts make them easy to move from event to event.